This shaft is 1/2"(12.7mm) longer than Octura pn# oc6150ps. 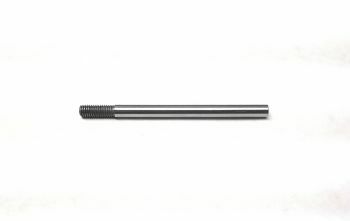 This is for struts that require a longer shaft for added bushing/bearing support. We also bored the flex cable hole to 3/4" (.75" 19mm) for added grip for glues and solder. Bored to fit .150 diameter flex cable. .146-.150 Flex Cable and installation.